Dorner’s new Universal Drive for our 2200 Series low profile end drive belt conveyor platform, features a single part number that covers all speeds, loads and mounting positions. 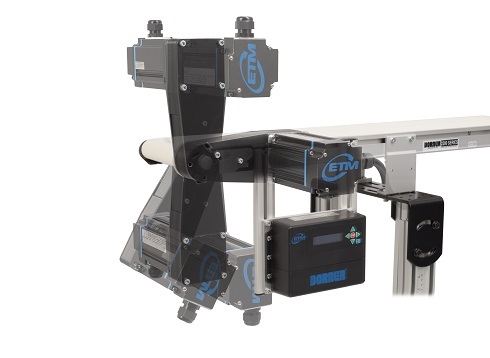 This new drive technology, developed by Electric Torque Machines (ETM), along with Dorner’s unique mount package is designed to integrate universally across the 2200 Series end drive conveyor line. An advantage the Universal Drive brings to operators is the ability to save time by reducing SKUs and stocked service items into one manageable part number. Additionally, the Universal Drive gives operators flexibility to mount the motor in 21 different top, bottom and side positions on the conveyor, including the motor facing either inboard or outboard. The motor runs with high torque at low speeds, eliminating the need for a gearbox, and is smaller, lighter, quieter, and runs cooler than a conventional motor gearbox combination. The drive system also reduces downtime with fast assembly setup using three bolt mounting and simple timing belt tensioning.